The summer festival scene is often claimed to be a saturated market and, for sure, festivals come and go. 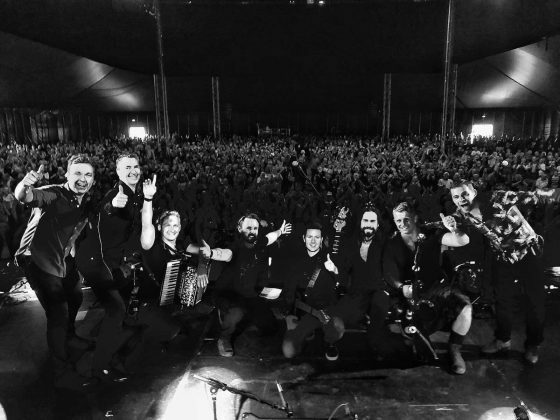 However, having moved from its beginnings in Bridgnorth, Shrewsbury Folk Festival has staked its claim to being one of the biggest and best folk festivals around. Wandering onto the site, it’s easy to see why so many music fans have adopted the festival as one of their ‘must attend’ events of the summer. The site of the festival is a flat showground space with a variety of fixed facilities that make life easier in terms of setting up and getting around performance spaces, food and drink, workshops, caravan and camping areas. So popular has the festival become that the keener campers and caravaners are up with the larks to get onto site in their favourite spot on the Friday morning as gates open. However, its location, quite central to Shrewsbury, is handy if you want to stroll to and from city centre accommodation too. Starting on Friday and running through to the Summer Bank Holiday Monday, a relatively short review like this has no chance of telling you everything on offer. So, do check out their informative website if you want to investigate more while I take you through some of my highlights of 2018. Friday’s music kicked off in the evening with all three concert marquees and the dance tent bouncing from the start. Steve Harley and Cockney Rebel headlined the main Bellstone Marquee and proved that they were more than a blast from the past. Though their past has caught up with them as ‘Make Me Smile (Come Up and See Me)’ recently featured in the first TV advert for Viagra. The Bellstone Marquee is big but, unusually for folk festivals, large TV screens are positioned either side of the stage. Indeed, the live sets are streamed on the internet for this venue and the Pengwern Marquee. Of course, you only get a flavour of the atmosphere watching online but it’s great if you can’t make it to the festival itself. Don’t run away with the idea that this festival is just about large performance spaces. There are many workshops and you’ll stumble across sessions in the bar as well as all manner of workshops. 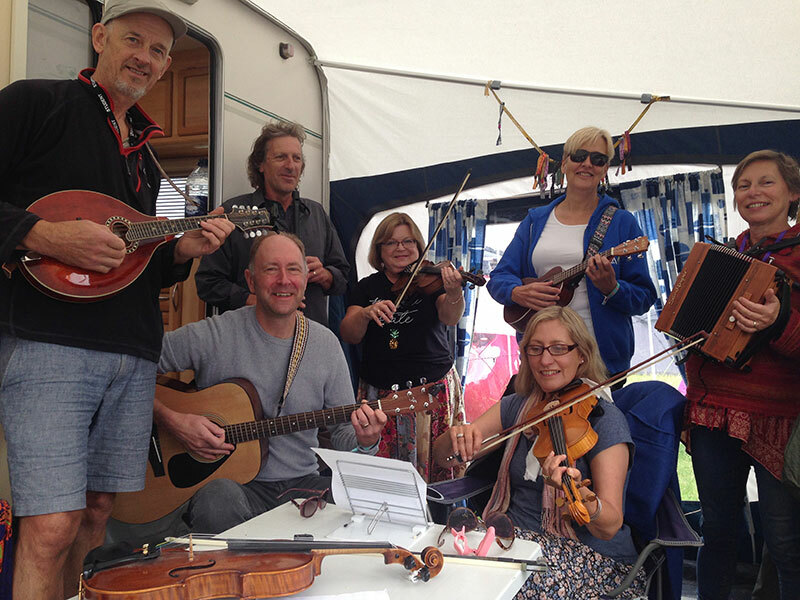 Indeed, in my case, hunting for an early morning cup of tea, I found a bunch of pals happy to get some music practice in the awning of their caravan. However, personally, it’s the concerts in the three seated venues that provide most of the highlights. Back in the Bellstone Marquee on Saturday afternoon, the Gigspanner Big Band consisting of Peter Knight’s Gigspanner forged together with Phillip Henry and Hannah Martin, collectively known as Edgelarks offered up another highlight. This musical amalgam is something special and the duelling fiddles of Knight and Martin on ‘Hard Times of Old England’ was a joy to behold even though I’ve heard many other fine versions of this song in the past. This wasn’t my first visit to the festival and, each time, there has been a programme of concert performances that was hard to beat. This year, Saturday night won by a fiddle string’s breadth over the Sunday night. Settling into my seat for Shooglenifty with Dhun Dhora, I was intrigued to see how the band were faring after the sad loss of their frontman and fiddler, Angus R Grant, back in 2016. There was no need to worry as their danceable beats fitted like a glove with the trance like Rajasthani groove of Dhun Dhora. As the set came to its drumming climax, I managed to sneak a peek at The Fitzgeralds over in the Pengwern Marquee. Whilst the strains of ‘Danny Boy’ on my arrival were a little worrying that this might turn out to be a set of standards, I reminded myself that they’d been asked back after a triumphant 2017 appearance at Shrewsbury. It was ‘The Chair Dance’ and its innovative routine with drumsticks and step dancing that made me realise I needed to spend more time with this set of sibling fiddlers from Canada. Arriving back in the Bellstone Marquee, Show of Hands had set about following Shooglenifty with Dhun Dhora. As a festival patron, Steve Knightley with Phil Beer and Miranda Sykes pulled out all the stops. Chris Hoban joined them on stage for various numbers including his own composition, ‘The Old Lych Way’. On ‘The Lads In Their Hundreds’, a Morris dancer gave us a twirl or two before, topping it all, Dayam Khan, the Rajasthani singer from Dhun Dhora, returned to add his vocals on the eastern flavoured song, ‘The Train’. These are the kind of special moments that you’ll only find at festivals like Shrewsbury. Next up, the Richard Thompson Electric Trio. Most folk festivals would be happy with Richard Thompson or Show of Hands closing their main Saturday night concert but you got both at Shrewsbury. 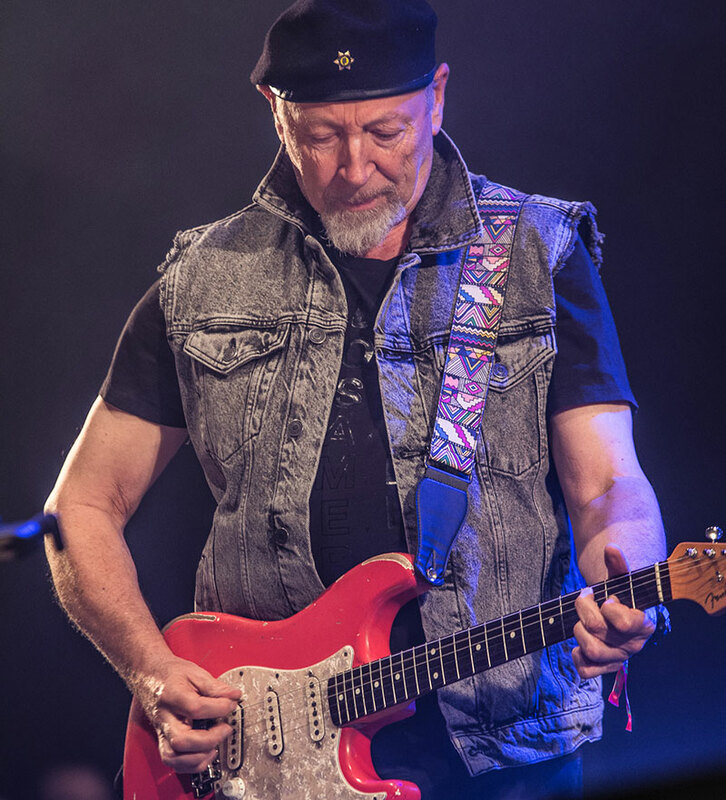 And Richard Thompson wasn’t about to let the rest of the evening’s acts upstage him either. Mixing songs from his new album, ’13 Rivers’, with classics from Fairport Convention days through to more recent albums. Sometimes picking up the acoustic, sometimes blasting the audience with his fine band. He didn’t put a foot wrong. In terms of weather, Sunday was looking pretty miserable. Seated in the Pengwern Marquee, Peter Knight and John Spiers were all primed and ready to go with the latter pointing out how rain draws the crowd into a marquee. Despite the soggy outside, inside the pair were like two butterflies flitting across a sunny lawn with their fiddle and melodeon mixing beautifully as they rose and fell. Peter Knight’s plucking and caressing of his fiddle was in perfect union with the melodeon of John ‘Squeezy’ Spiers and the clouds were dispersed. Heading back across the site, I dropped into the Sabrina Marquee to see Johnny Coppin and Phil Beer who had clearly won over the audience with their ability to offer fine musicianship and choruses where the audience could join in the song. It was a rare opportunity to see the pair reunited after they’d shared many a stage over 30 years ago. Equally well into their career, Steeleye Span were in full folk rocking swing in the Bellstone Marquee. Given the longevity of their career, the line-up has inevitably changed around the evergreen mainstay singer, Maddy Prior. The most noticeable younger blood in the current seven piece line-up being Benji Kirkpatrick (formerly of Bellowhead) following his father footsteps in the band and Jessie May Smart from a classical background on fiddle. 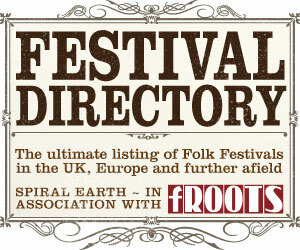 Whilst the line-up may change, their ability to draw from a wealth of music in their back catalogue remains. This was dutifully done and despatched with aplomb before being topped with an encore of their best known song, ‘All Around My Hat’. In the evening concert, the young and old of Irish tradition arrived in the form of Ushers Island comprising of Andy Irvine, Dónal Lunny, Paddy Glackin, Michael McGoldrick and John Doyle. Ears were suitably tickled and put in listening mode with a set of songs, reels, jigs, slip jigs and hornpipes including a pleasingly, quite different version of the well-worn ‘The Wild Rover’. Shrewsbury Folk Festival is well known for mixing traditions from the home countries with those from elsewhere. So, there was no surprise to see American songwriter, Gretchen Peters, arrive next on stage with a set of songs taken mainly from her new album, ‘Dancing with The Beast’ alongside other favourites such as ‘Guadalupe’ and ‘Idlewild’. Whilst the beauty of her songs carried a sadness in their arms, there’s no doubt that the current political situation in the USA has added a darkness to the newer songs that is difficult to ignore. She told us we could guess who the ‘beast’ was in the album’s title but it didn’t need much imagination to make that link. Headlining the evening in the Bellstone Marquee were Jon Boden and The Remnant Kings. Since the release of ‘Afterglow’, you’ve been able to see John Boden in various formats, solo and with band. On this night, there was the full line up with strings and brass dipping into his solo post-apocalyptic material, traditional material and even opening with Ewan MacColl’s song, ‘Sweet Thames, Flow Softly’. The appearance of John Spiers onstage to join the merry throng for ‘Beating The Bounds’ took the audience levels of excitement up a notch. He retreated before the encores of ‘Under Their Breath’ from Boden on solo acoustic guitar and the full band finishing on ‘All Hang Down’. With John Boden as effervescent as ever and a band that was both tight and energetic, it was a triumphant end to the evening. Most festivals have finished by Monday but, being a public holiday, Shrewsbury likes to squeeze a little more fun out of the weekend on this day. So, it had only just gone past midday when Skerryvore attacked the Bellstone Marquee stage to wake those sleeping off the night before. A large number of whom appeared to have seen their previous night’s triumph in the Pengwern Marquee. Ruby Sheffield, aged 4, winner of that performance’s dance off made an energetic appearance as the bagpipes drove the band along through songs and instrumentals. It was symptomatic of a performance that pleased young and old with what appeared to be the lovechild of Boyzone and Treacherous Orchestra on a night out with The Foo Fighters. Arms waved, hands clapped and it seemed slightly strange that an audience provided a standing ovation at only 1.30pm in the afternoon. Need I say? Skerryvore are one to watch. My heart went out to Edwina Hayes who followed Skerryvore. Armed with her acoustic guitar, she took us back to gentler moments. Her singalong to Dylan’s ‘Mr Tambourine Man’ resumed folk normality and a charmingly talkative approach with tales of Auntie Brenda and Rod Stewart soon had the audience on her side. The set rather summed up the festival in that there is room for all at this festival whether you like your folk to be gentle and acoustic or rocking on a heavier beat. I can’t really leave my review there without mention of Alan Surtees, co-founder and director, of Shrewsbury Folk Festival who passed away last year. As someone keenly involved with the festival and admired by all who met him, his contribution to folk music, the festival and the showground itself has been widely acknowledged. The Alan Surtees Trust has been set up to support up and coming young folk musicians and is as worthy of your investigation as the festival itself.